Psycho Solo Diver – Online Diving Blog and more! 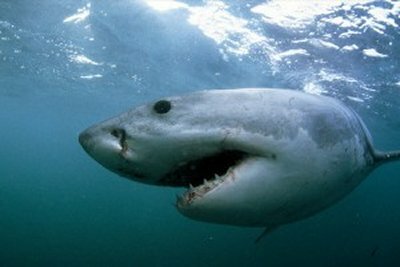 » Is El Niño Behind California Great White Shark Sightings? Is El Niño Behind California Great White Shark Sightings? Thanks to Crazy Ivan for pointing this out to me – sort of an old post, but it’s worth posting here if you haven’t heard about this. Originally posted by Martin Brody on August 3, 2009 – The entire original article may be found here. There’s been a lot of Great White Shark activity in Southern California lately… sightings and video footage in Malibu, fly-fishing in San Diego, sightings in Northern Santa Barbara County, and more. To what can we attribute this sharp uptick in Great White Shark activity here in So Cal? How about El Niño?! NOAA’s analysis of El Niño indicates that we can expect this cyclical phenomenon to appear this winter – “Synopsis: El Niño conditions will continue to develop and are expected to last through the Northern Hemisphere Winter 2009-2010. The entire original article may be found here. Be sure to store the new number in your cell phone!